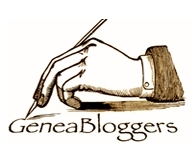 This post includes updated information as of April 9, 2014. Ambrose Gaines (1763-1840) was a nephew of James and Thomas Gaines, land agents for Edmund Pendleton. In the 1790s, they sold their nephew 273 acres of the Pendleton Land Grant of 1750. 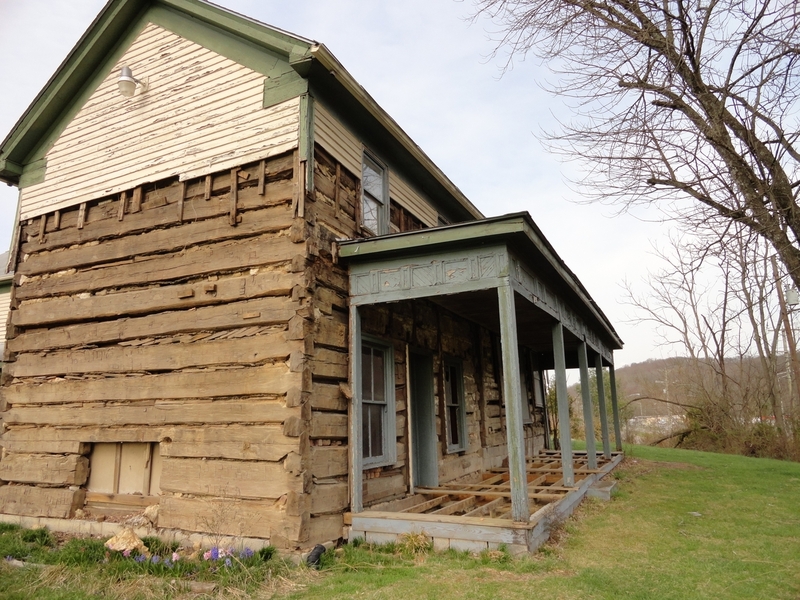 Ambrose, a veteran of the Revolutionary War and a member of the Tennessee militia, built a log house on the acreage for his wife, Mary Moore, and their eventual eight children. 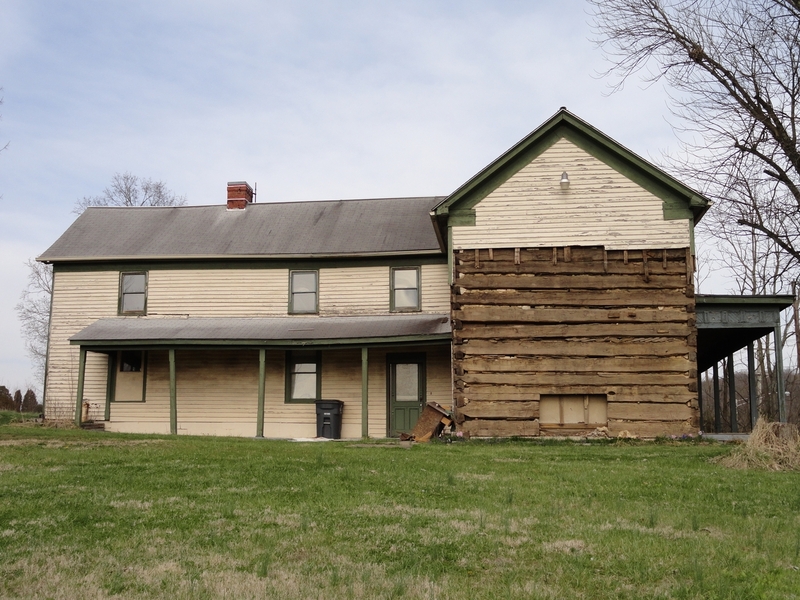 The log house was later doubled in size, enlarged a second time by the addition of an l-wing, framed with siding, and moved to a hill to avoid the expansion of Lee Highway (11-w). Unfortunately, during the moving of the house, its stone foundation and chimneys were left behind. In 1873, John Reuben Anderson took over ownership of the home. 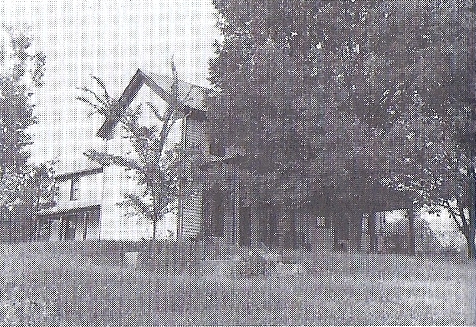 The house is featured in the book Historic Sites of Sullivan County. This volume was written in honor of the American Bicentennial by The Sullivan County Historical Commission and compiled by Muriel C. Spoden. One of the reasons the stories and photographs of historic farms, churches, and homes were collected was that the committee knew many of these sites were already over 100 years old and would not stand forever. Indeed, some of the locations featured are not standing today, 35 years after publication. The Gaines-Anderson house is currently undergoing some drastic changes. And while it is presently for sale and may not be around much longer, its current state reveals much about its history. I could not locate the original 1975 Fred Aiken image of the Gaines-Anderson Home within the Muriel C. Spoden Collection (KCMC 516), but this is a scan of the page from the book. April, 2014. 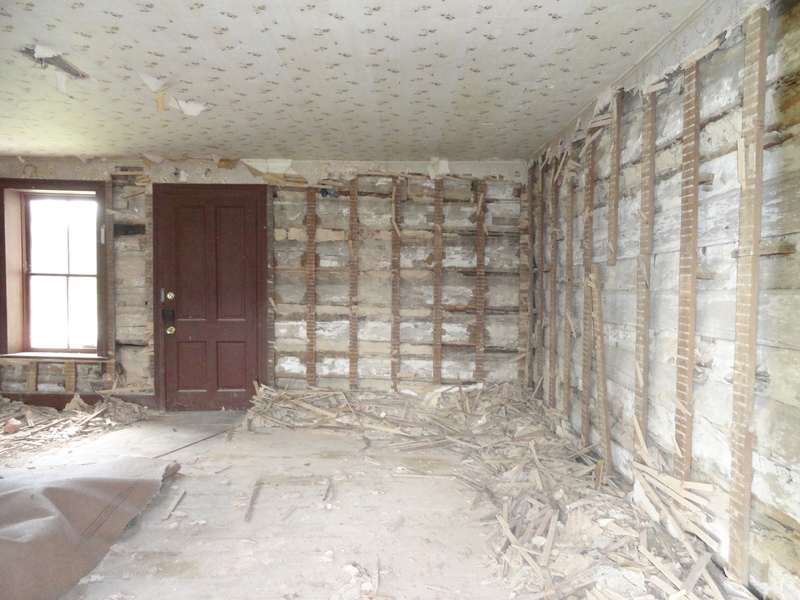 The removal of wood siding reveals the log structure of the main house and where a fireplace was once located. The porch was constructed after the cabin was added onto. 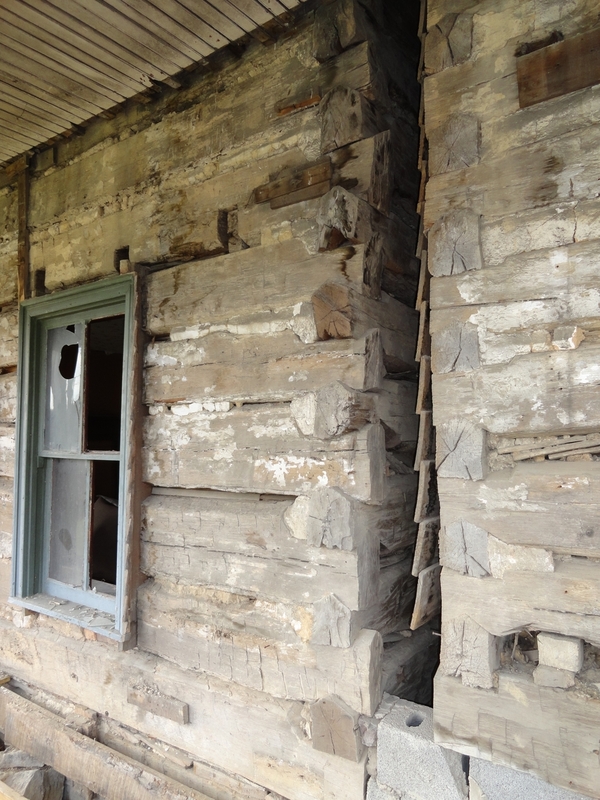 While in rough condition, the porch still displays some interesting architectural details. Evidence that the log home was once half its size. Taking a step back, the center seam between the two halves is obvious. One half curiously has siding and the cinderblock foundation can be seen in place of the original stone one. 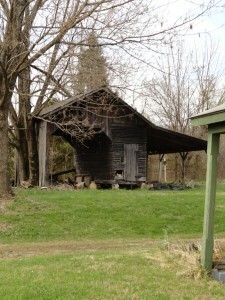 The barn, or corn crib, at the rear of the property. 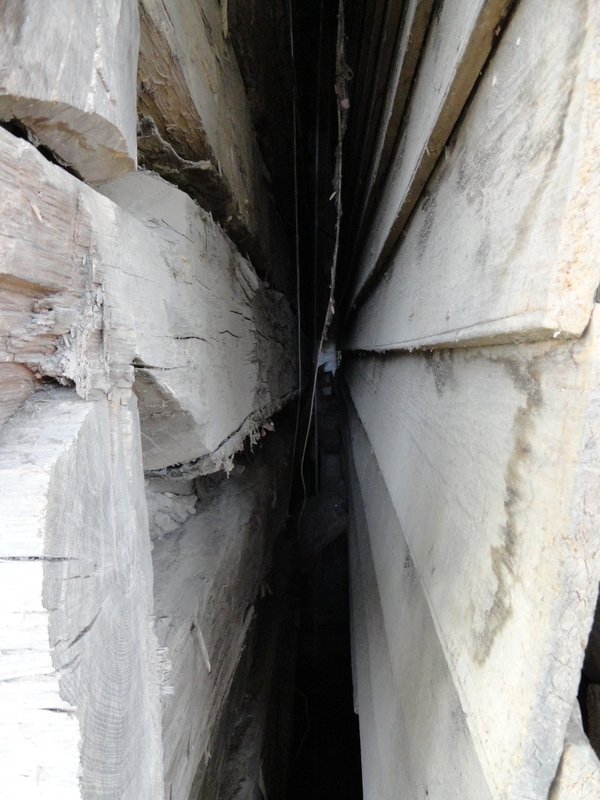 A look inside the left half of the log structure. Locals can catch a glimpse of the house before it’s too late. Travel along 11 w (Stone Dr.) and turn at Bancroft Chapel Rd. The house is on the corner. I will close with my favorite thing about the Gaines- Anderson house; this vintage door knob. It is the only one remaining. All of the other doors have a basic hardware store variety knob. Someone please save this knob! 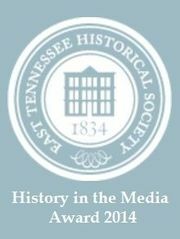 If you want to learn more about any of the Gaines’ who lived in the area in the 1700-1800s, the Spoden Collection and the Ahern Collection at the Archives of the City of Kingsport have numerous files of research and documents relating to this family! This entry was posted in Kingsport and tagged historic sites, Kingsport, log home. Bookmark the permalink. Love this!! Ambrose Gaines is my husband’s (who is also named Ambrose Gaines) 3rd great-grandfather!! Loved reading some of the history. I grew up in this house (until I left for college in 2003). So many fond memories. The barn was my playhouse for many years. I loved living in this home and miss it dearly…and I’m so glad it will continue to have a purpose! You were right Kari. 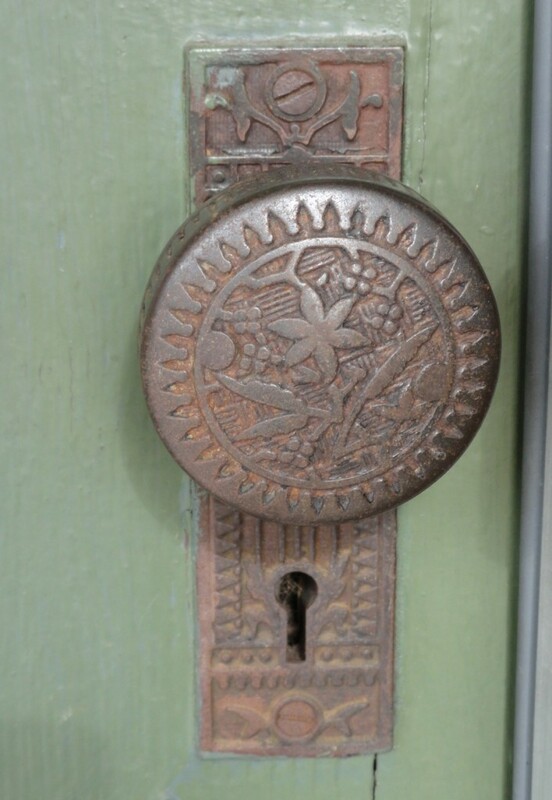 The doorknob is my favorite picture, but I also like the shot of the barn as well.